The new Civic is already selling very well, and that’s simply because it is now more balanced than ever, fulfilling the needs of a host of consumers. When you have been building the most popular car in Canada for almost two decades, it’s never easy to redesign the model in question. That’s why Honda engineers worked tirelessly on designing the new 2016 Honda Civic, and in the process managed to improve a vehicle that was already one of the most balanced and advanced in its segment. No question about it, the compact sedan segment is crowded, and there are plenty of quality vehicles available to consumers. That reality makes the fact that the Civic has managed to top sales numbers not only in its segment but for all cars sold in Canada for the last 18 years even more impressive. This year, the 2016 Civic sedan gets a new design, a refined interior, even more safety technology, a more powerful engine to go along with an all-new turbo engine, and more connectivity features as well. The new Civic is already selling very well, and that’s simply because it is now more balanced than ever, fulfilling the needs of a host of consumers. The base engine in the 2016 Honda Civic starting at $16,155 is now a 2.0-liter, four-cylinder engine that delivers 158 horsepower and 138 lb-ft of torque. Although it has gained 15 horsepower compared to last year, the 2016 Civic’s base engine is more fuel-efficient with a posted fuel economy rating of 7.8 liters per 100 kilometers in the city and 5.8 liters per 100 kilometers on the highway with the continuously variable automatic transmission. It is also available with a six-speed manual transmission. That said, the big news is the new 1.5-liter four-cylinder turbo engine that delivers 174 horsepower and 162 lb-ft of torque. This engine represents the first time a turbocharged engine is available in the Civic lineup, and maybe the most impressive feature of this engine, after the added power and low-end torque, is the fact that it is more fuel-efficient than the base engine. Indeed, the turbo achieves a posted fuel economy rating of 6.7 liters per 100 kilometers combined, slightly less than the 6.9 liters per 100 kilometers average fuel economy rating of the entry-level engine. Aside from its new engines, the 10th-generation Civic also features a redesigned interior that now offers both Apple CarPlay and Android Auto for an improved pairing with your smartphone and a host of more advanced features. 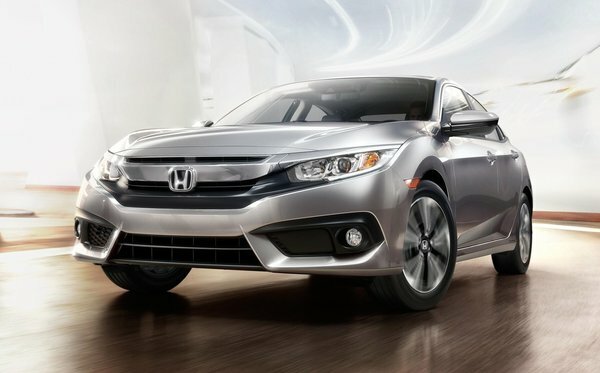 In terms of safety, the Civic is now offered with the full suite of Honda Sensing active safety features that include adaptive cruise control and automatic braking, among others. There is also more space inside the Civic as well as in the trunk area, and the revised driving position that now has the driver sit lower in the cabin also improves comfort both on the highway and in the city. 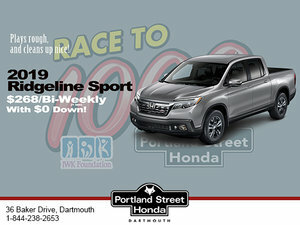 To learn more about the 2016 Honda Civic, contact us today at Portland Street Honda!